Gourmet Gluten-Free Dining Available at Now Amber! 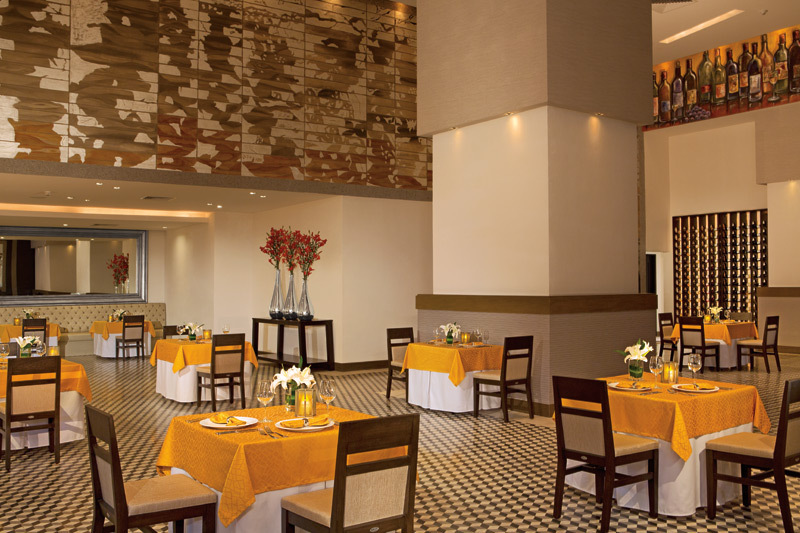 Happy #FoodieFriday from Now Amber Puerto Vallarta, where an international array of specialty restaurants awaits you! With your Unlimited-Luxury® amenities, all snacks and meals are included throughout your stay; you can even order 24/7 room service to enjoy a delicious meal in the privacy of your suite! We are also more than happy to accommodate any of our guests that are gluten-free. At Now Amber, saying goodbye to gluten doesn’t mean missing out on all of the delicious flavors we have to offer, since three of our à la carte restaurants feature gourmet gluten-free options that are bound to satisfy even the most discerning palates! Capers is the place to go for savory Mediterranean cuisine, and offers various main courses for gluten-free diners, including our “Portofino” style Sea Bass, sautéed with white wine, bacon cherry tomatoes and kidney beans, along with our flavorful Chicken Supreme, filled with sautéed spinach and Gruyére cheese and served with mushrooms ragout in a hearty meat sauce. 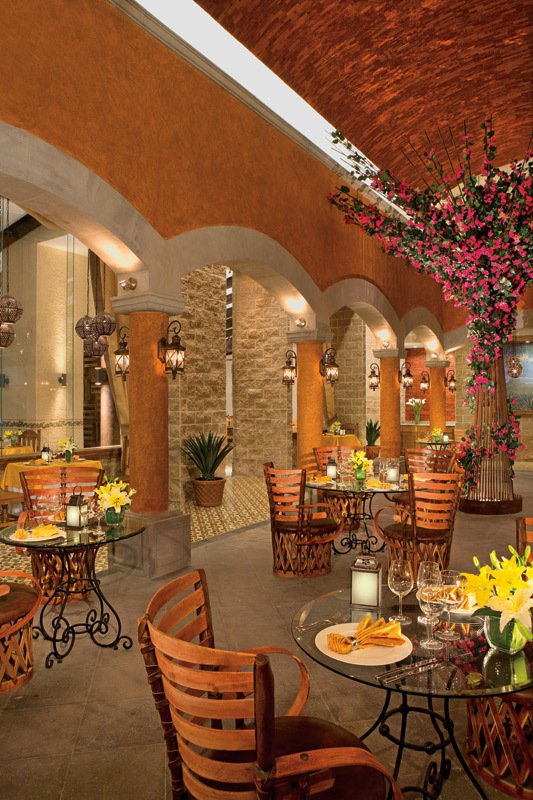 Capers at Now Amber Puerto Vallarta serves up delicious Mediterranean dinner options. Guests craving authentic Mexican and local favorites with a gourmet twist can visit Tamarindo and start their gluten-free meal with our popular avocado and mango tower, complete with Achiote-style shrimp, coconut milk dressing and just a touch of piquin chile. After the appetizers, why not try our Roast Duck Breast, served with poblano peppers sautéed with mint sauce and gratin potatoes? Th ambiance at Now Amber Puerto Vallarta’s authentic Mexican restaurant, Tamarindo, evokes feelings of romance and relaxation. For Pan-Asian fusion delicacies, Himitsu has everything gluten-free diners crave! Feast on Beef Gaudon in an oyster and jerez sauce, prepared with baby corn, broccoli, noodles and Japanese pea pods. Finish off the night on a sweet note with lychee served in caramel sauce with a pineapple compote. 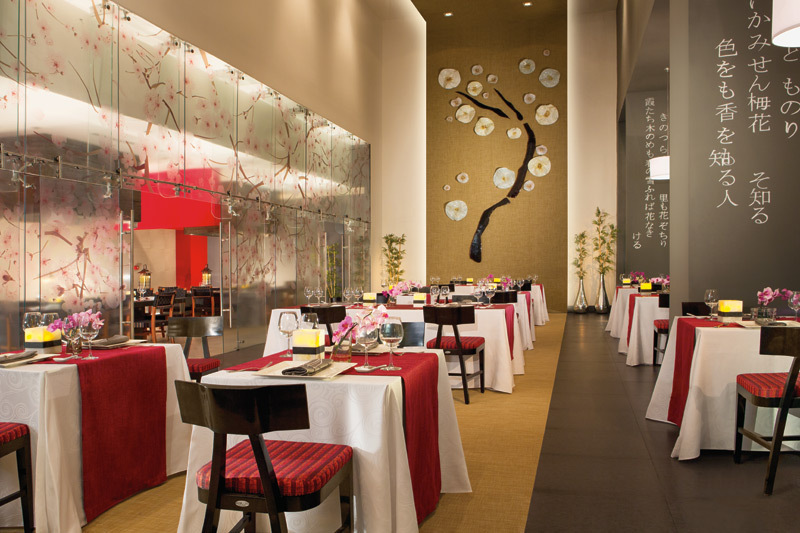 Asian cuisine at Now Amber Puerto Vallarta’s Himitsu is a great option for gluten-free guests! All three restaurants are open from 6 pm until 11 pm, so whatever time dinner strikes your fancy we will be ready for you! What are you waiting for? Come give your taste buds the gluten-free adventure of a lifetime at Now Amber Puerto Vallarta!